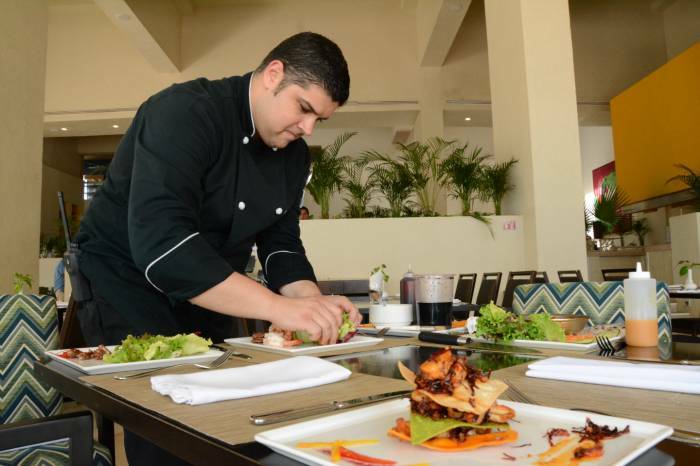 Source: Westin Cancun Westin Cancun has been nominated for a prestigious food award. CANCÚN, Q. Roo. — The Westin Resort & Spa, Cancún was nominated in the second edition of Food and Travel Reader Awards, in the categories: Best Beach Hotel and Chef Revelation. The Westin is inviting everyone to vote for them to become winners and thus promote the name of this touristic destination. Being the only nominee from Cancun and sharing a short list with hotels in Riviera Maya, Riviera Nayarit and other Mexican destinations, the Westin is looking not only to promote the name of the chain or the team, but also to show the world that Cancun has great attractions worth visiting, commented Nicolas Cejas, the hotel’s manager. Some of the strengths that caused the group to be nomiated is that they have facilities and trained personnel to support people with disabilities, for those traveling with pets, plus attention to groups in lesiure or business plans, as well as for families or couples. Furthermore the Westin offers a diversity of their Mexican, Caribbean and signature dishes, combined with the “Superfoods” program; healthy dishes, rich in phytonutrients and antioxidants with a unique and incomparable flavor, said Neptalí José Cedeño Harringthon, executive chef with 12 years of experience in the field, while preparing a local specialty, a distinctive shrimp dish. The Food and Travel Reader Awards 2015 is an award given by Food and Travel Magazine Mexico, which consists of a printed recognition and a statuette which they receive at a private dinner on November 12, 2015.